Last night I finished Cryptonomicon, by Neal Stephenson. Wow! I'm pretty sure it has moved up to second on my all time list, behind the amazing Godel, Escher, Bach, displacing William Gibson's Neuromancer which was my previous #2. What a *great* book! 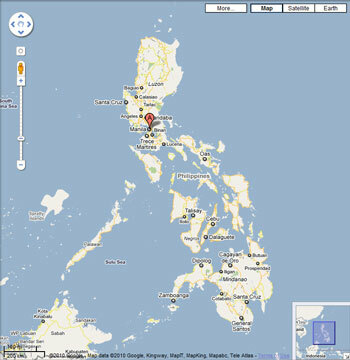 Funny, serious, entertaining, and thought-provoking, it is full of knowledge about cryptography, World War II, the Philippines, 1990s business, and features amazing characters, fully drawn. I am so sad that it's over, but so excited to read the as-yes-to-be-released two next members of this "series". Wrapping up a l o n g weekend, yay! I can't remember the last time I didn't have some urgent deadline which was hovering over me for Thanksgiving weekend, I give thanks for that! Was able to ride (somewhat, despite the cold! ), and eat, and enjoy my family, and watch football, and even blog a little. 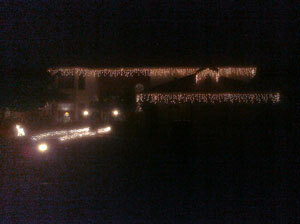 And I got the Christmas lights up, always important! So... in 2010, does anyone ever print photos? No. So it follows that rather than continuing to add resolution, camera manufacturers should be adding online interfaces. I have a 12Mp Fuji camera, I love it, but I mostly use it to take 3Mp photos, because they're going onto my Facebook or blog or website or being emailed... the one feature I'd love to have is WiFi or cell connectivity, with the ability to email or post directly to FB or my blog. I often end up taking pictures with my Pre phone's inferior camera just because it is connected. Add point-and-shoot cameras to the list of devices which will be obsoleted by smartphones. 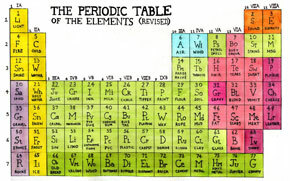 The periodic table ... of stuff. I love it. Interesting: Eric Raymond ends up with an Android G-2 (which doesn't have a keyboard), and likes it better than a G-1 (which does). I am ... sigh ... somewhat seriously considering an iPhone, assuming it shows up on Verizon, and continue to worry about not having a physical keyboard. But if Eric can get used to it, maybe I can too? I checked out The Feed, an RSS reader for the iPad. Works great. I must say I prefer to scan headlines visually rather than scrolling through items, it's faster. Granted scrolling is fast on the iPad, but nothing is faster than visual scanning. I must say I am still mystified by how few people use RSS, it is so cool. I guess the "activation energy" to setup and maintain subscriptions is too high? Or perhaps using yet-another-tool to get news is disorienting. 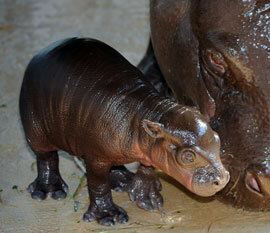 ZooBorn of the weekend: a rare pygmy hippo. And so I'm off - not sure what my blogging schedule will be, but please stay tuned. And have a great week!